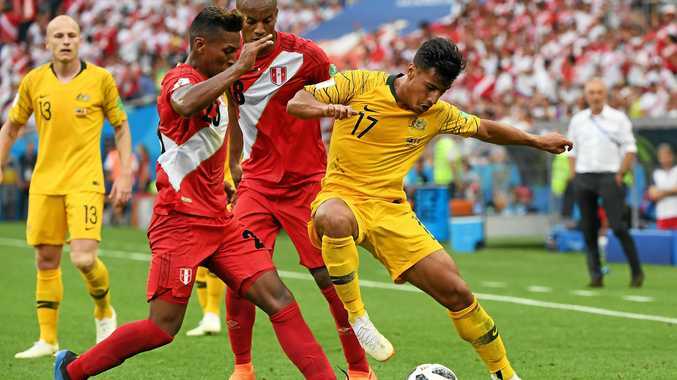 CELTIC legend Willie Wallace says he is disappointed by Brendan Rodgers' treatment of rising Socceroos star Daniel Arzani. The 19-year-old created hype during the World Cup, his performances eventually earning him a contract with Manchester City. But after being loaned out to Celtic, Arzani still hasn't played in the first team under Rodgers - and Wallace fears it could lead the Australian to leave the Scottish club. "Arzani is a good little player, and Brendan Rodgers disappointed me on that one," Wallace said. "He's saying it's going to be a while before he plays. Well, why are Celtic paying the wages and not Man City? "If I was the board at Celtic, I'd have kicked the manager's a--- out the door. "Why would you take Arzani for two years if he isn't going to play in your team? The kid, for me, will finish up a better player than James Forrest. "Arzani is quick, he takes people on, and he reminds me a bit of Jimmy Johnstone because of that. "He doesn't have Jinky's trickery, but he gets balls over, and did really well at Melbourne City for a couple of seasons. "When I heard Rodgers say he wasn't ready, I was baffled. Why take the boy if he thinks he's not ready? "If I was the lad, I'd ask to go back to City or go somewhere else to get a game." But Wallace, who won five league titles with Celtic, wasn't as kind in his assessment of Arzani's Socceroos teammate Tom Rogic. "Tom Rogic? I have watched him a long time and I'd beat him in a race - even today! ", Wallace said. "Rogic's a good enough player, but put him out there when he has to look at the big picture? He's not at the races." Both Arzani and Rogic are on international duty with the Socceroos ahead of the friendly match against Kuwait.